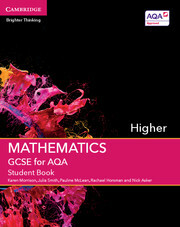 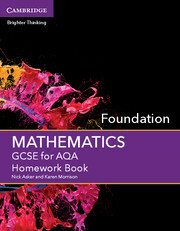 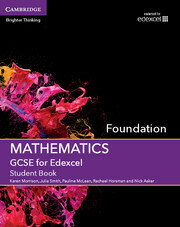 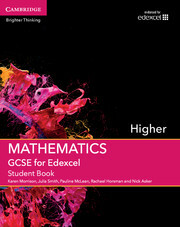 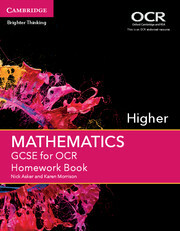 Written for the AQA GCSE Mathematics Foundation tier specification for first teaching from 2015, this print Student Book and digital bundle covers the new GCSE Mathematics qualification. With a strong focus on developing problem-solving skills, reasoning and fluency it helps students understand concepts, apply techniques, solve problems, reason, interpret and communicate mathematically. 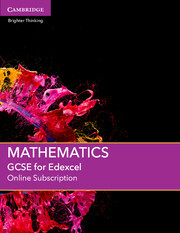 Tablet-friendly rich digital content features a range of interactive walkthroughs, animations and questions. Comprehensive provision for both summative and formative assessment includes differentiated pre-set quizzes and a test generator that allows teachers to compile their own assessments, both with inbuilt reporting to track students’ progression. Rachael currently works across a group of schools for Comberton Village Academy Trust as an Advanced Skills Teacher and Specialist Leader of Education, supporting teaching staff and Heads of Department, delivering training and working closely with national organisations. Recently appointed as Lead for the Cambridge Maths Hub, Rachael also acts as Chair for the 1116 sub-committee and Teaching Committee. 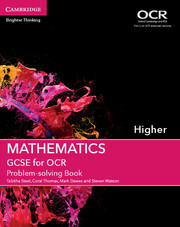 She is a member of the Council for the Mathematical Association (MA) where she delivers CPD workshops and training sessions, helps to form responses to government consultations and develops resources for publication. 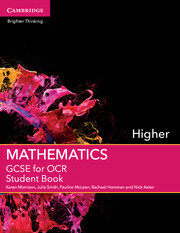 She has also held positions as Director of Maths, Primary and Secondary Liaison and Assistant Head.